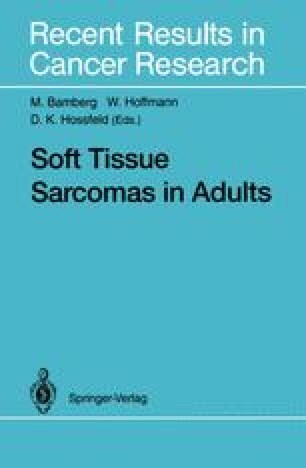 Soft tissue sarcomas (STS) of the head/neck account for 10% of the total. The Royal Marsden Hospital experience on this subject was recently published by Eeles et al. (1993). Other recent publications on the subject are by Frankenthaler et al. (1990), Freedman et al. (1989), Mandard et al. (1989) and Weber et al. (1986). There is general agreement concerning the differences that exist between STS at this site and extremity sarcomas.